Outbound call campaigns are highly effective for motivating customers to take action. Sometimes nothing beats the sound of a real human voice that’s friendly and knowledgeable, reaching out to you on the phone. 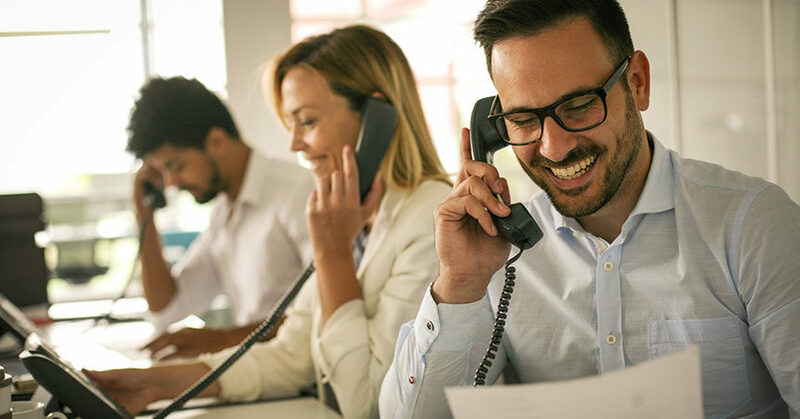 For sales campaigns, you can either organize your sales team to conduct an outbound call blitz, have your business development center (BDC) reps do it, or outsource to a BDC and have a warm handoff of hand raisers to designated dealership personnel. On the service side, it’s best to have your BDC or an outsourced BDC make the calls. Reach out to all customers who have been in your service department within the past seven days. Identify which ones have vehicles that may be a good fit for your used-car stock plan. If I’m a Honda dealer, that means I want a list of customers who have a three- to five-year-old Accord or Civic, with decent mileage. Create a script designed to interest the customer in a free trade evaluation. First, don’t forget to thank them for their business, and ask questions about how their car is running and overall condition. Also, offer them a new car incentive to recoup any money just spent servicing the vehicle. For this reason, the caller should have a record of the service performed on the car. Let the customer know that the sales manager is looking for a car just like theirs. Ask if they would be interested in a free trade-in evaluation, and if they would consider upgrading to a new vehicle. Run a list of all your service customers who you haven’t seen for a period of six months. Create a special offer. Many dealers use a 10% off incentive, but for most customers that doesn’t equate to anything tangible. I recommend using a dollar figure, such as $25 or $50 off a particular service. You may want to try running these campaigns in the early summer, when customers are thinking about summer travel. Likewise, early winter is a good time for a “winterize your vehicle” special. These are low-cost services that get people in the door, so your service team can identify more opportunities. Call your new-vehicle sales customers to encourage them to come in for their first service. A three- to six-month timeframe is optimal because it should be time for an oil change. First, thank them again for their purchase, and ask them how they like their new vehicle. Then remind the customer it may be time for an oil change, and ask if they’d like to take advantage of a special you’re offering. This is also a good time to try to gather additional customer information, such as second phone numbers or emails, and estimated driving patterns for future follow-up and service marketing opportunities. When was the last time you used your equity tool? Do some mining in your database and identify a solid list of customers who have a substantial amount of equity in their vehicle. Create a script that lets the customer know that you have some new incentives, and that you may be able to get them into a new vehicle for the same or lower monthly payment. On this type of call, it’s also a good idea to have a plan B. If the customer is not interested in selling their vehicle, try to interest them in making a service appointment. Ask how their car is running and ask for the mileage. Based on mileage range, offer a special on an OEM-recommended service for that model. How many of your internet leads die within a week of being received? Often, salespeople are great about calling and emailing within the first few days of receiving a lead. But if they don’t hear back, they may give up. Organize a time every week to call all unsold prospects that have communicated with your sales team in the past seven days. We know from our research that approximately 72% of internet leads provide a valid phone number even when the form doesn’t mandate it, so you should be able to reach most of them. To improve the effectiveness of your outbound call campaigns, try following up with an email that references the call and voicemail you left. For all of these outbound call campaigns, knowing the best time of day to call is helpful. If you get voicemail, try calling at different times—yes, even when they are at work. You may believe that customers don’t want to be bothered at work, but that’s actually not the case. Many people don’t mind an excuse to take a break during the day while still looking busy on the phone. Try calling your customers at work a couple hours before noon and also after lunch, between 1 p.m. and 2 p.m. When you get them on the phone, don’t waste too much time with chit-chat . . . unless they want to. Have a strong, clear message that offers something of value. Outbound call campaigns are an effective tool for keeping in touch with your customers in a personal way. In our high-tech world, it’s important to remember that a warm, high-touch approach still delivers the best results.